The Mahindra Thar is easily among the most appealing affordable lifestyle vehicles you can buy. Its iconic ‘Jeep’ looks, grunty motor and 4×4 hardware makes it the choice of many off-roading enthusiasts. 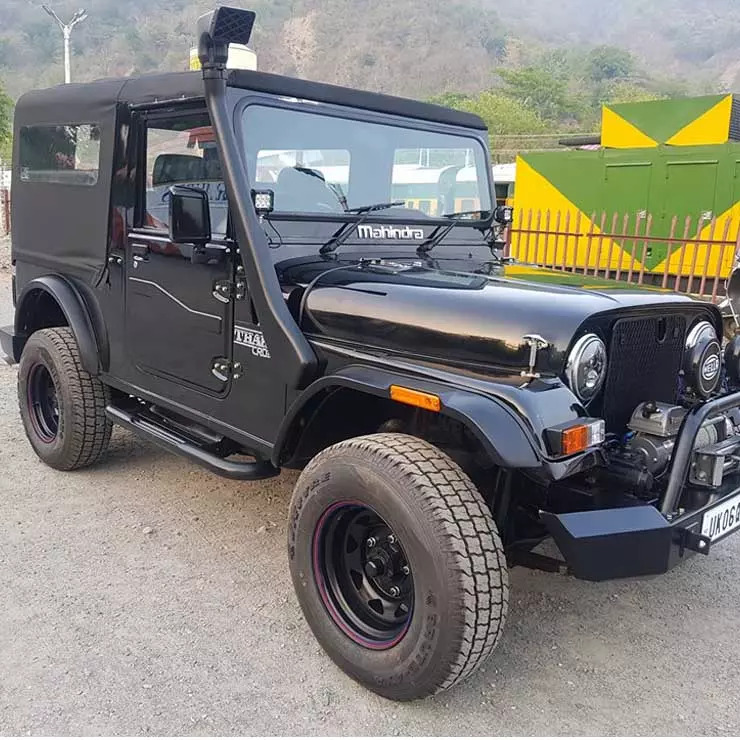 In essence, the Thar is a spiritual successor of the MM550, which can find its roots at the CJ540 (the CJ suffix was dropped after the expiry of the Jeep license). Today, we have a Mahindra MM550 that has been modified to look like the Thar. 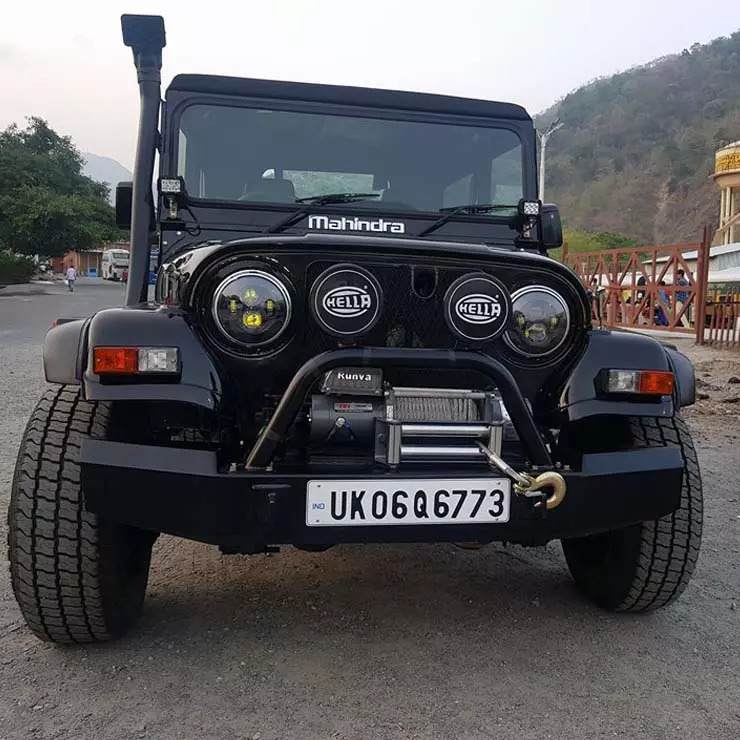 The front-end of this modified MM550 gets a Thar-like appearance, which is courtesy of bits like fender extenders, a new bumper and Mahindra badging below the front windscreen. Other than these, this modified MM550 also gets an electric winch, a couple of Hella auxiliary lamps and custom projector headlamps. There’s also a pair of spotlights mounted near the windscreen. In the side profile, you’ll be quick to notice the custom wheels, a huge snorkel and the Thar CRDe badges. Like we said, this MM550 has been given fender extenders. These help the vehicle look like a Thar when viewed in its side profile. 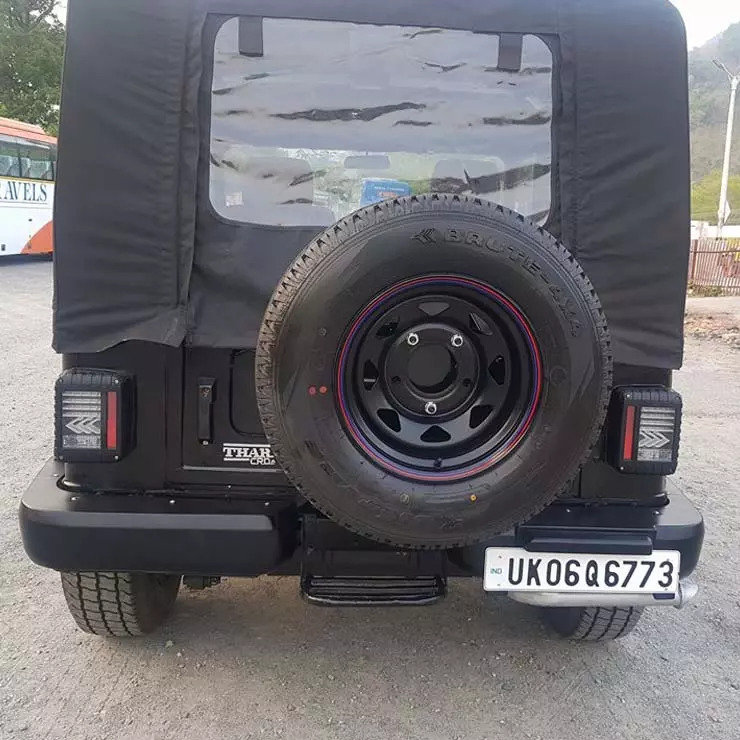 The rear is characterized by a Thar-like bumper and custom tail lamps. Overall, this modified Mahindra MM550 looks a lot like a Thar. For most, it will be really tough to tell the true identity of this vehicle. Even the interior has been spruced up and has been given the Thar’s dashboard and steering wheel. With this, the MM550 you see in these images ends up being a true Thar replica. Other than these styling updates, the MM550 also gets Armada shock absorbers for the front and Bolero-sourced shock absorbers at the rear. The MM550 retains its 4×4 hardware but the engine and the gearbox come from a Thar Mdi. The Thar Mdi’s 2.6-liter oil burner outputs 63 hp of max. power. This Mahindra MM550 to Thar conversion has been done by 4×4 Customs.